Chemmanatham is a small hamlet, about 2.5 kms east of the village of Mavanalla which itself is on the old Mysore Ooty road. Chemmanatham appears in the story “The Queer Side of Things” in the book “Tales from the Indian Jungle”. Currently the village has a few huts where local tribals stay and till their fields. 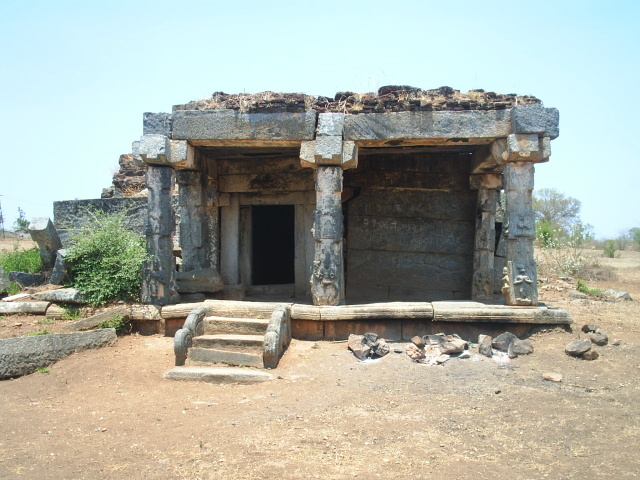 Chemmantham is also known for its old Basaveswara temple which is is semi ruins and forms the main basis for KA’s story. 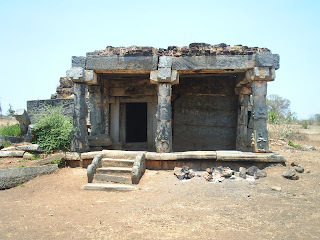 The temple is in a semi dilapidated condition but portions of it are surprisingly well preserved. Like all tribal temples, there is no door to the temple and it seems that bears do shelter in the forest in the evenings. It can be seen that much of the forest has been cleared. Readers of KA have been making regular trips to this temple and this has become a pilgrimage spot for active KA readers. Parts of the history were corroborated on 24th Sep 2007 when a reader reported that he had visited the temple for the first time and was astonished to find a truck full of people there. It transpired that these people were descendants of the original dwellers and their ancestors had fled from the place to Talavadi during the fever. In 1995, a mentally challenged member of their tribe suddenly made a trip to the temple in a feverish delirium and told the people to make this pilgrimage every year and give offerings in the land of their ancestors. This has become a practice now. 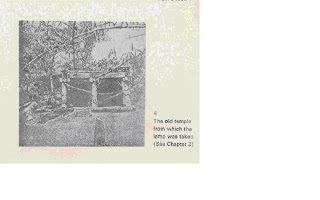 The temple seems to have changed little since it was reported in the book approx 50 years back. KA describes the area as thick forest but the forest seems to have been replaced with shrubs. The well described in the book has dried up and is hidden by weeds now.